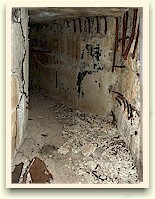 Malinta - The Navy Tunnels "Roger" and "Sugar". A. Looking toward the nearly sealed entrance. It is now the rainy season in the Philippines so I have time to sort through numerous photos taken earlier this year. Here is a virtual tour for you all. 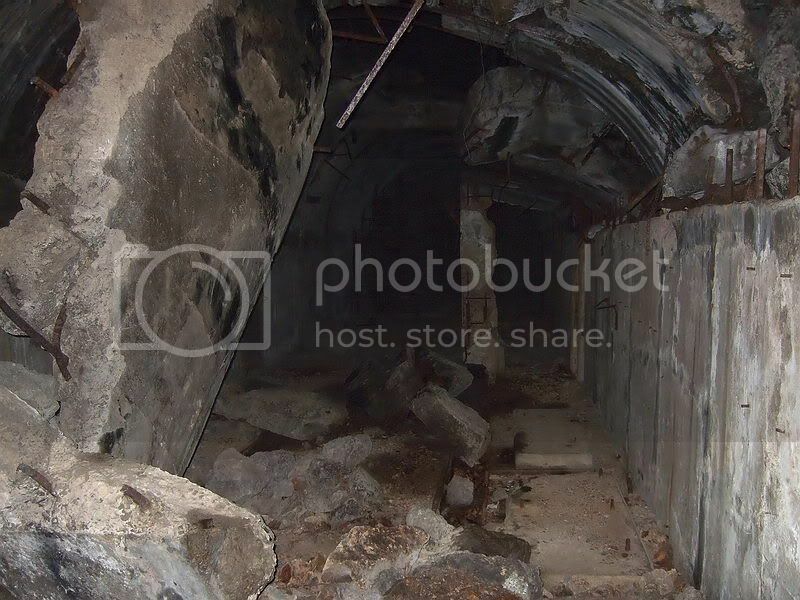 One location 99% of Corregidor tourists never see or even know about is the part of Malinta Tunnel known as the “Navy Tunnels”. Even after all the years since the war, mystery still surrounds that name. Accurate construction information and maps are unknown and the information we do have conflicts. However, if you like stories (true stories) of gold, silver and torpedoes etc then this place is for you. I will quote some information I have been told and I invite others to add, refute or change anything. 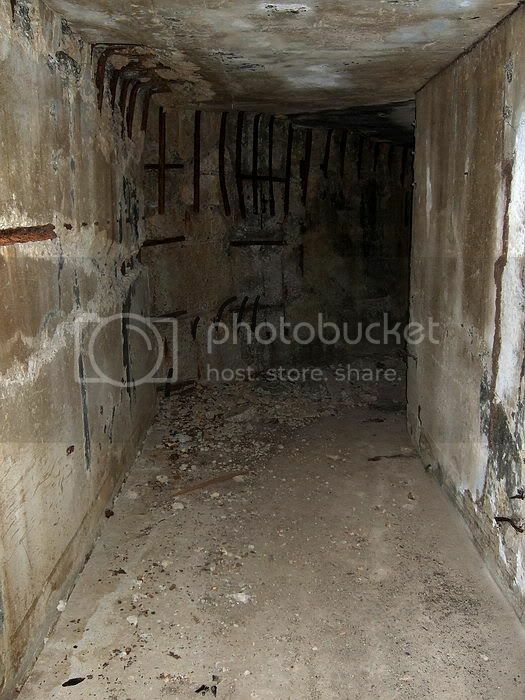 If accuracy and more details emerge regarding the Navy Tunnels, then some of the B.S. can be put to bed and history will be better served. 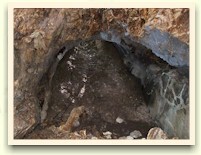 Recent investigations have shown that there were a number of tunnel entrances at the south-west corner of Malinta Hill. 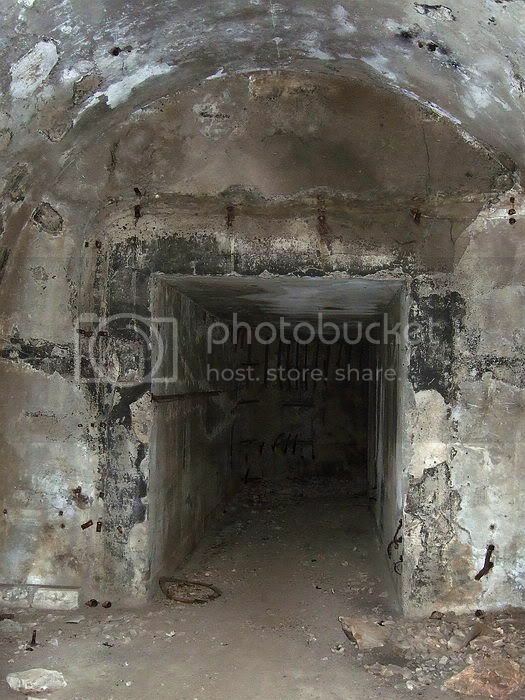 In the past it was known about four tunnel Navy Tunnels (Queen, Roger, Sugar, Tare) but there appears to have been at least three more other tunnels. 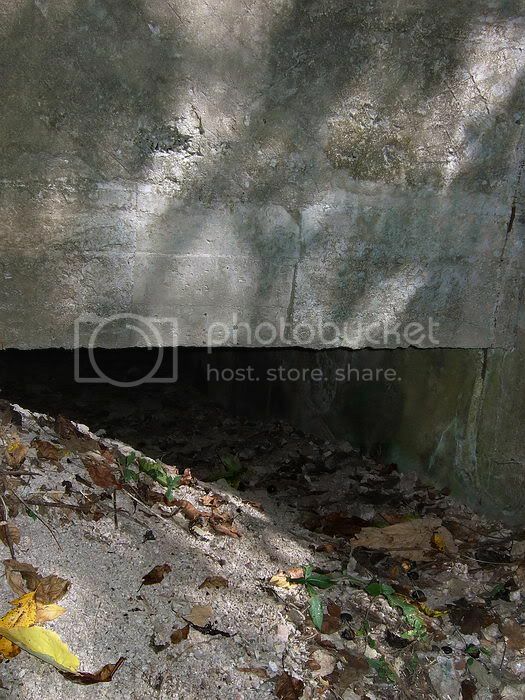 These three are not visible today and do not go deep enough into the hill to connect to the existing Quartermaster laterals. 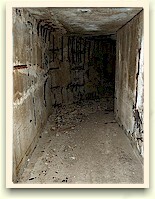 For this trip report, I will concentrate on one of the two remaining Navy Tunnels. 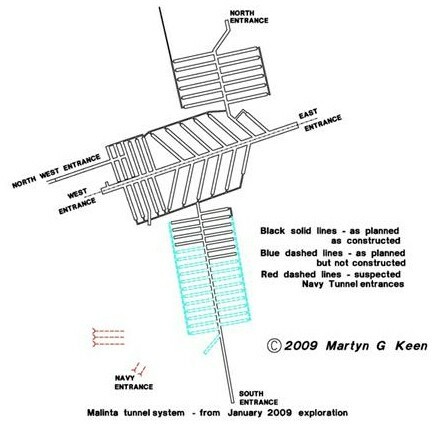 During the January, 2009 survey of the Malinta Storage System, it was noticed that the entrance (or the other one a few meters away) was in almost exactly the correct position as to be the originally designed “Malinta South Entrance”. In later years the design had significant changes, one being a new south entrance which was actually built. Don’t let anyone tell you the Malinta Tunnel South entrance does not exist anymore. 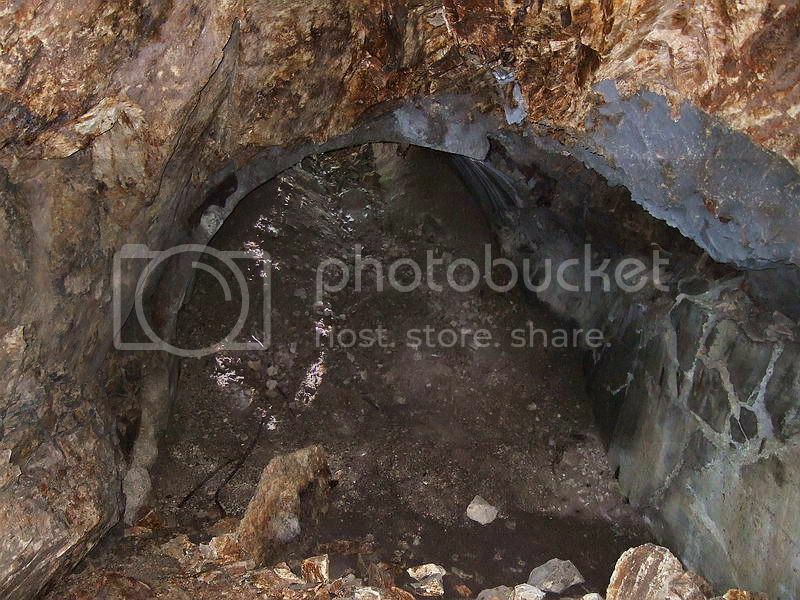 Even though it is collapsed, you can still enter it a few metres. 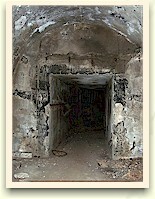 The second existing Navy Tunnel is only a few metres north of the other one. It is totally collapsed just a short distance inside the entrance so actually not very interesting. Also, I will not cover the area inside Malinta that is south of the Quartermaster tunnels as it has been discussed elsewhere on the board. (Above) What is publicly known about Malinta today is the result of a project by the Corregidor Historic Society to survey and redraw it, and to complete a GPS verified scale map of the existing evidence. 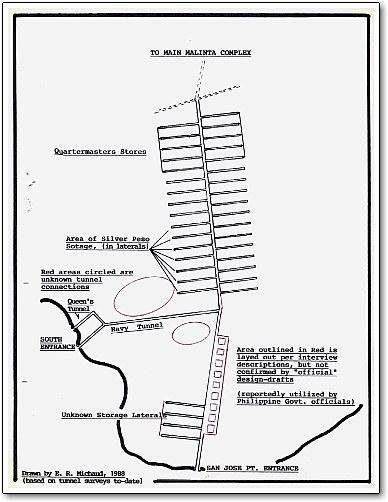 (Below) During a visit to Corregidor during the 1988, Ed Michaud drew this map based upon his observations and tales by an unidentified Corregidor resident. Whatever CFI Inc. know about what's on (or under) their piece of National Park, they're sure not telling. Saddle up at the hotel and start a leisurely walk towards the Malinta South Shore Road. 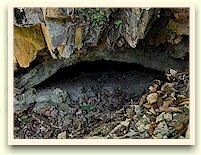 Within ten minutes you will be at the tunnel entrance. You cannot see it from the road but it is easy to find. Our best guess is that this tunnel was called Roger. 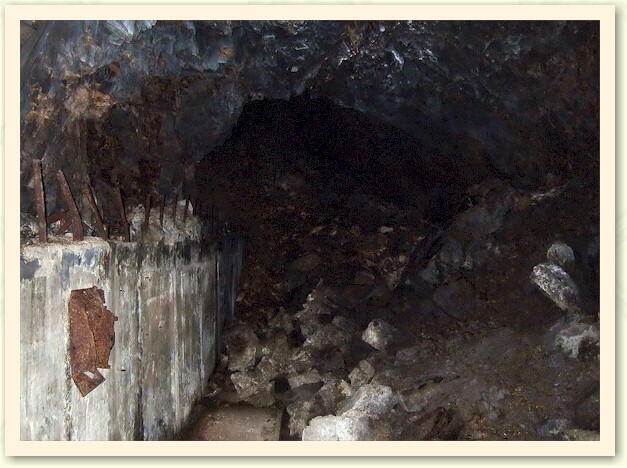 The entrance is mostly sealed by debris but you can easily slide in an opening at the top of the tunnel. 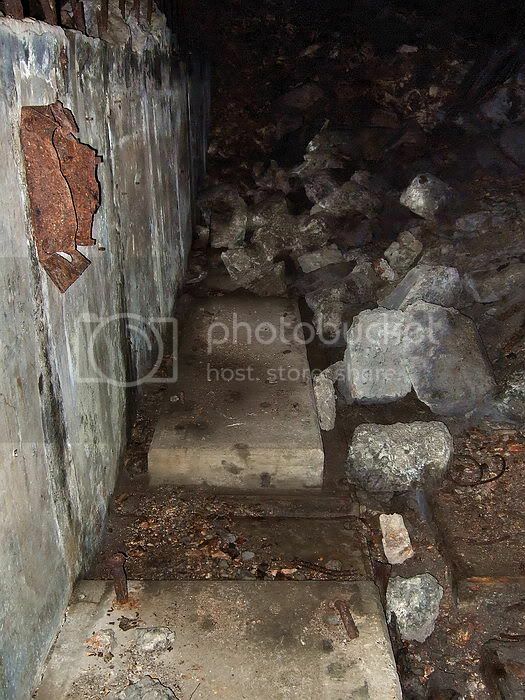 Once inside, walk down the sloped debris to the concrete tunnel floor. 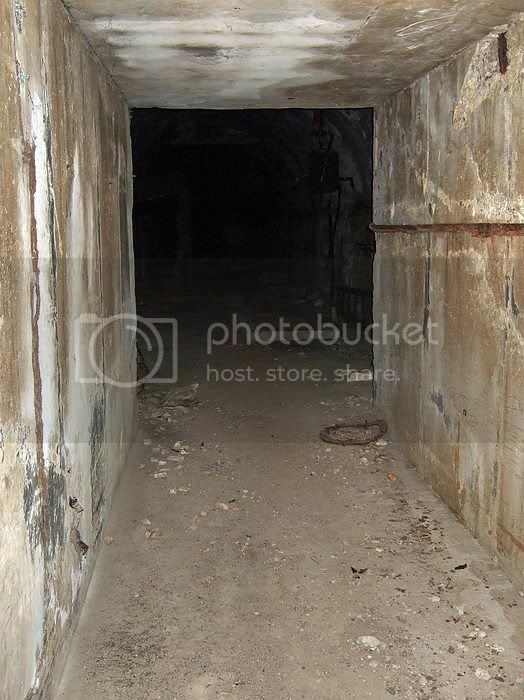 Note: before entering (and while inside) a search for crawling or slithering tunnel residents is recommended. You will find a tunnel in quite good condition that goes straight in from the entrance and then turns 45 degrees to the left. Soon the rectangular tunnel opens up into a larger one with a rounded roof. 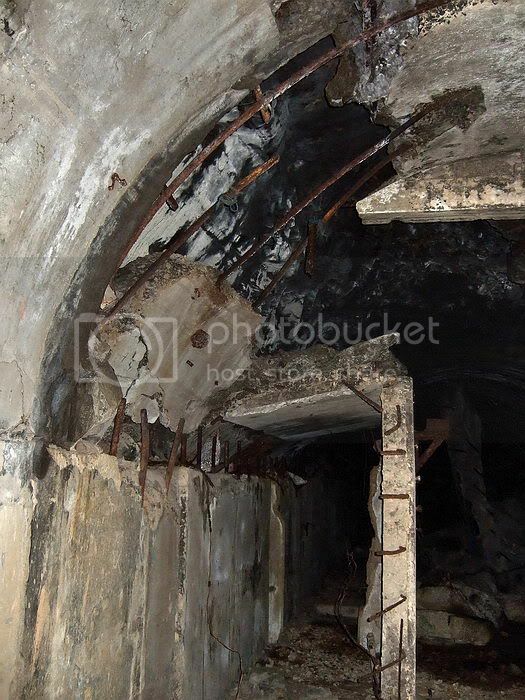 Straight ahead the tunnel deteriorates quickly as massive blast damage is evident which finally results is a high roofed rocky cavern where the tunnel ceiling has collapsed. You cannot go further. Near the end on the left a suspicious collapse seems to indicate a smaller tunnel heading towards the other existing Navy Tunnel. One map drawn years ago suggests this is correct. Guys have been digging there. 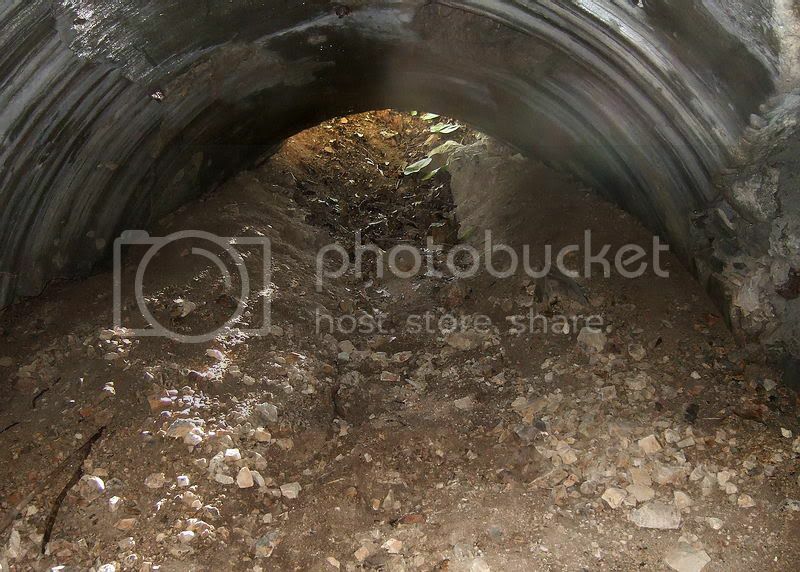 This tunnel is dry (i.e. no stagnant or running water) and even though there is no second entrance or ventilation, the air seems ok. On one of my visits, it was quite hot and humid though. 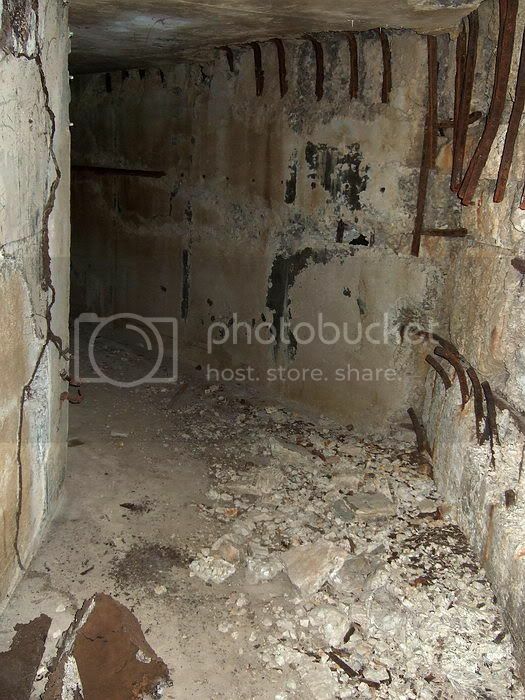 In addition to leading to secret areas of the Navy tunnels, I would guess the section of tunnel we can visit today was part of Malinta’s electrical generation and air ventilation network. 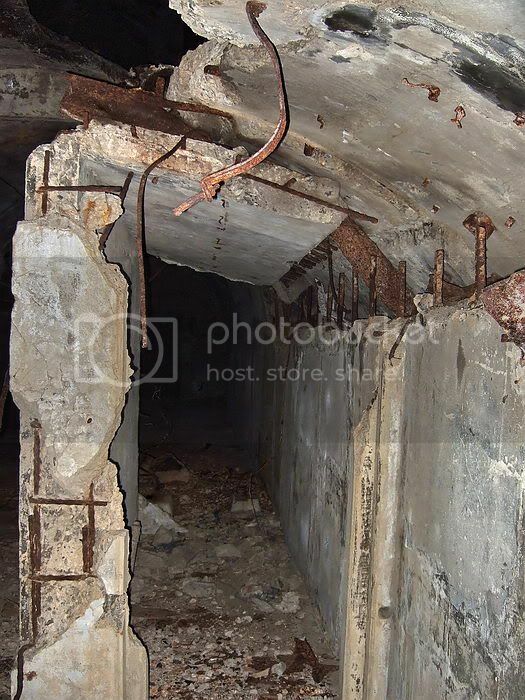 The floor has no rails and a 45 degree turn means no great amount of stored material or munitions passed through there. 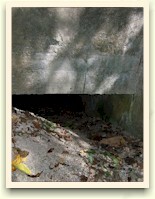 Along the sides are many rectangular concrete pads with bolts for mounting generators or blower motors. Fuel pipes and drains can be seen plus numerous broken metal hangers for electrical cables or ventilation pipes are sticking out of the upper walls. 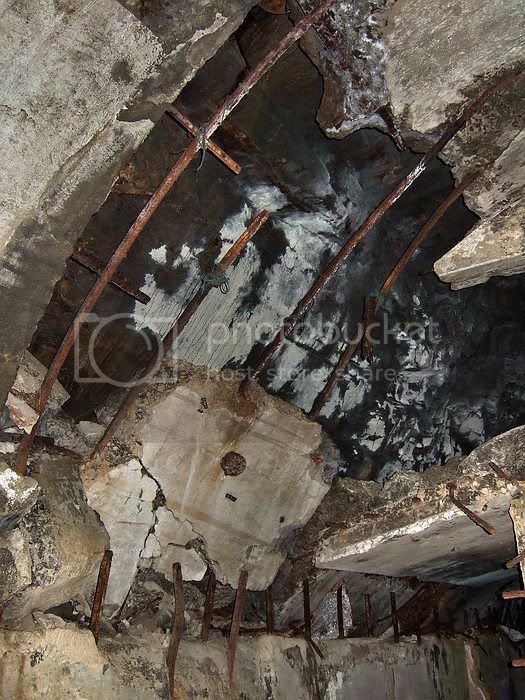 In one location, an exhaust pipe goes up through the tunnel ceiling. Near it is a long metal stand possibly for a battery string. 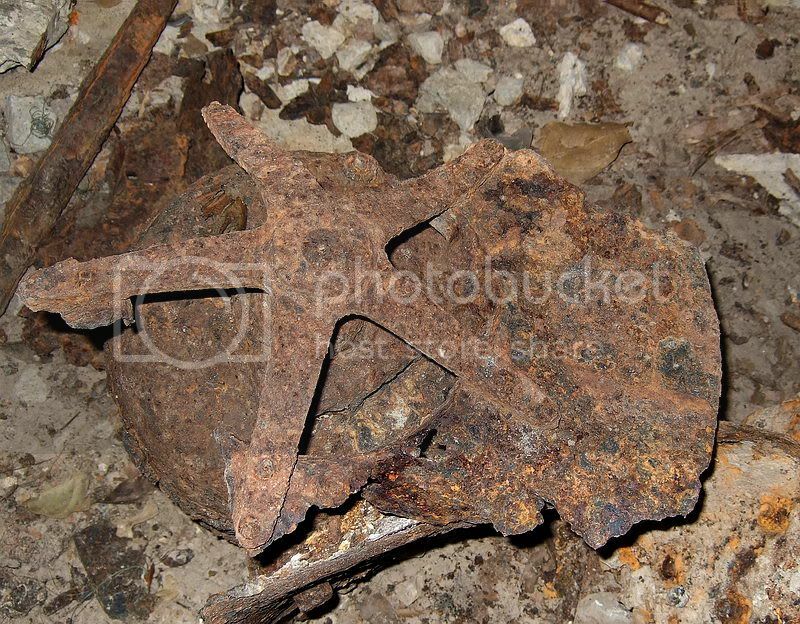 Above it is an electrical junction box still containing an old rusty knife switch. 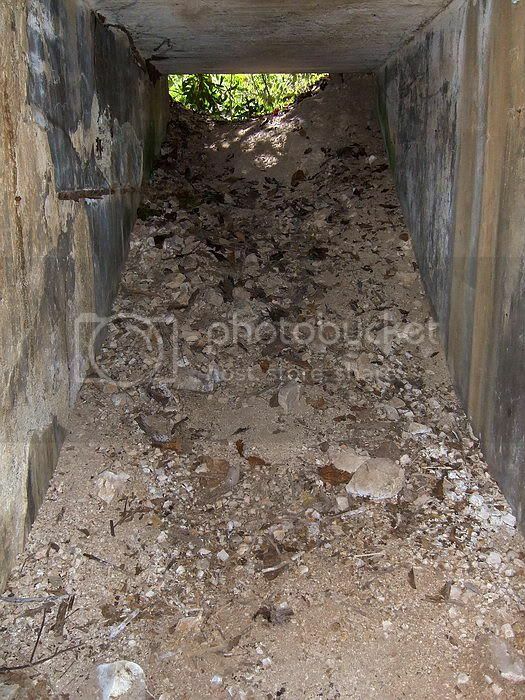 As you can see from the photos, this tunnel is not “cleaned up” for tourists and actually tons of rock and concrete hanging from above looks potentially dangerous. 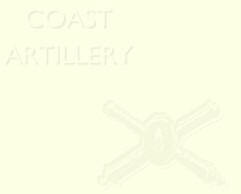 To me this is the real history of Corregidor. Some sanitized batteries on the day tour just don’t seem real. The above information is not new to a few people on this board. Please feel free to expand on this topic. For others, do you have any information, stories or photos we would all be interested in? B. Looking bak out the tunnel entrance. C. Soon the tunnel makes a 45 degree turn towards the left. 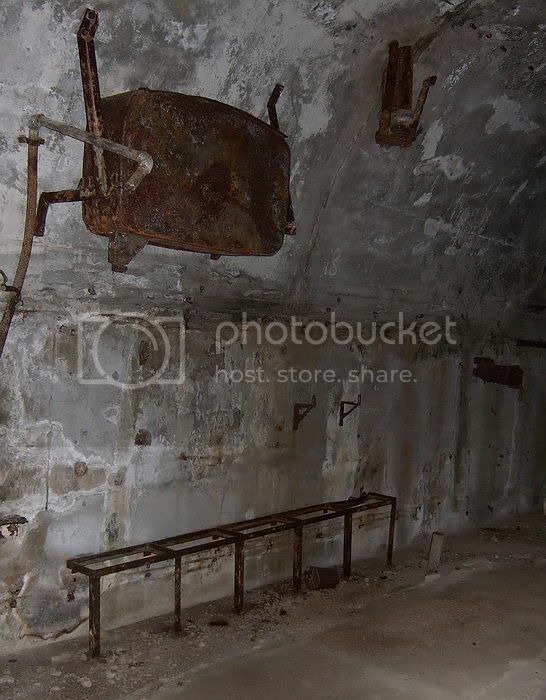 This would certainly prevent torpedoes from being stored in, or being loaded from this lateral, and indicates that the entrance was only ever for personnel. There are no rails on the floor. D. Looking back out the tunnel at the 45 degree turn. 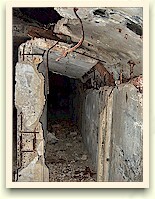 E: Approaching the transition from the smaller rectangular tunnel to a larger rounded roof shaft. F. Looking back at the shaft-tunnel transition. 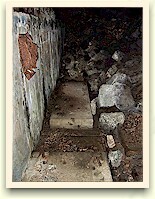 G. The main shaft now heads deeper into Malinta Hill. 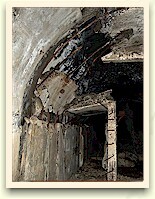 H. Detail of severe tunnel damage. I. 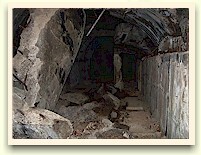 Detail of severe tunnel damage. J. 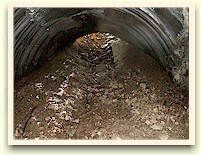 Looking back out the main tunnel past a collapsed section of tunnel lining. K. Concrete pads with mounting bolts for gen sets or blower motors. 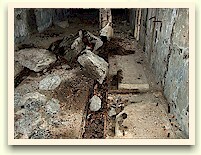 Pipes and drains are still visible. 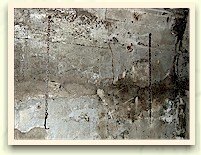 L. Detail of severe tunnel damage. M. Various pipes, a stand for a battery string, and ceiling exhaust vent pipe. 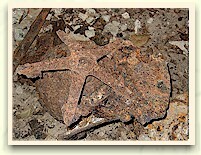 N. A rusted electric motor, originally mounted to cool a radiator affixed to the wall, has fallen and is in the course of walking slowly towards the tunnel entrance, an escape into sunlight, and shortly thereafter, to the shop of the nearest scrap merchant. O. 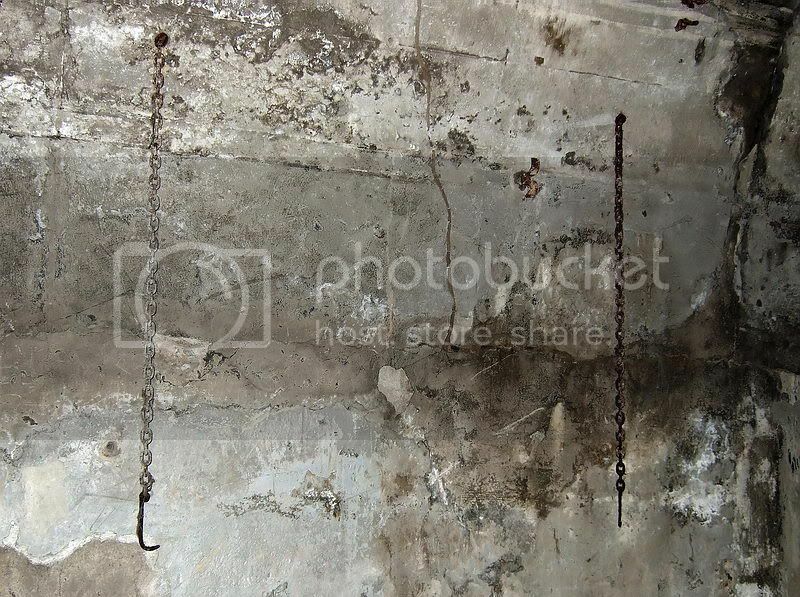 Chains with hooks mounted on the wall. P. Concrete pads for mounting furniture, equipment or machinery isolate these from the floors. Drainage was always an issue. Q. This is as far as the remaining concrete tunnel goes. From here you can see the start of a pile of rock. You can climb this rock and make it another +/- 10 metres before a complete dead end. Above the rock is a high cavern so I would assume one of the WWII explosions was exactly in this area. 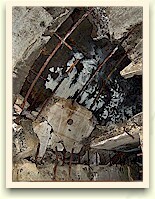 EXO feels that there may have been a junction between Roger and Sugar, or that a massive explosion had so weakened the area above them, the entire cavity had collapsed. He's just guessing, and he's the first to admit it too. There's evidence that someone has been attempting to dig down the other side of this collapsed area, attempting to open a shaft towards a lateral which links to a shaft further within the bowels of the hill. There are numerous opinions, because no design or "as constructed" map has ever escaped from the Navy Department, and though there have been a few maps drawn, none of them seems to allign with what remains under Malinta Hill. 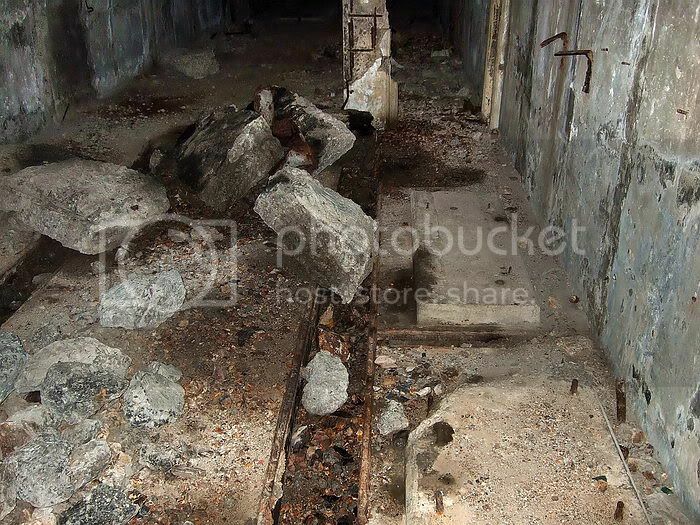 It seems no one has any new info on the Navy Tunnels so I will add a few photos of the second remaining tunnel to complete the topic. This one is approximately eight metres north of the one described above. If we are correct, this one was known as Sugar. It is collapsed a short ways inside the entrance so not much to see. 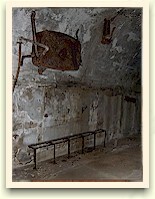 Not much (or none) of the original tunnel floor is visible. It would be interesting to know if there are any embedded rails there. An item for my ‘to do’ list. I. The outer entrance is almost sealed, but you can still slide in. J. 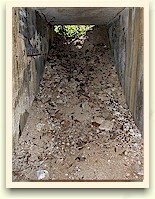 Looking back at the entrance highlights the way that the "creep" is capable of plugging a tunnel during a rainy season. K. Standing on rock at the start of the totally collapsed tunnel, looking back towards the entrance. * Concerning the names that we have given to these Tunnels, we do not know with certainty whether we have named them correctly. 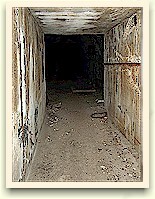 Based upon memoirs of those who were there, the tunnels under USN control were allocated the names Queen, Roger, Sugar and Tare. The USN is a very methodical body, so we allocated Queen to the southern entrance which exits at the south shore road, on a temporary and tentative basis only. We are not by any means certain if this is Queen at all. It was, as they say, a place to start and we had to start somewhere. We needed to call it something, and Queen was easier than calling it "the tunnel entrance along Malinta Hill's south shore road." Thus, the other entrances became Roger, and Sugar. 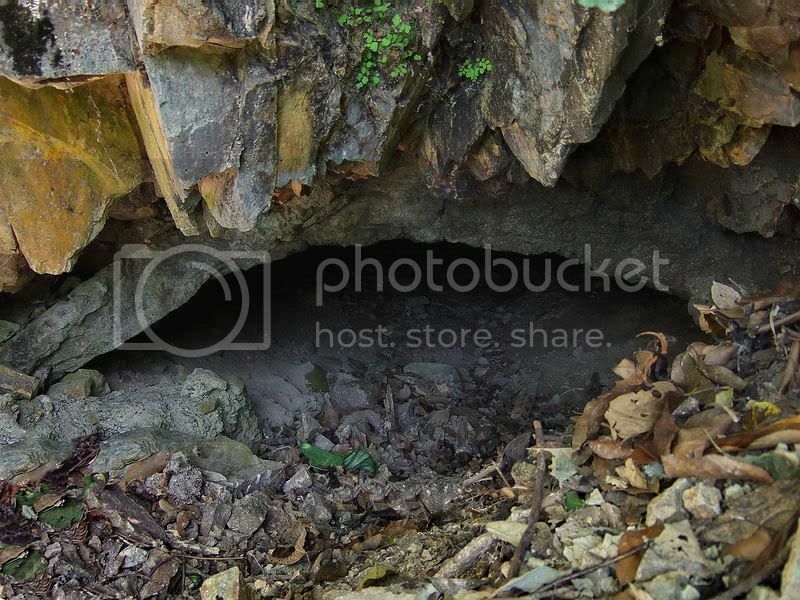 I have seen a fourth entrance between Sugar and the West portal of Malinta Tunnel, and I have thus called it Tare. 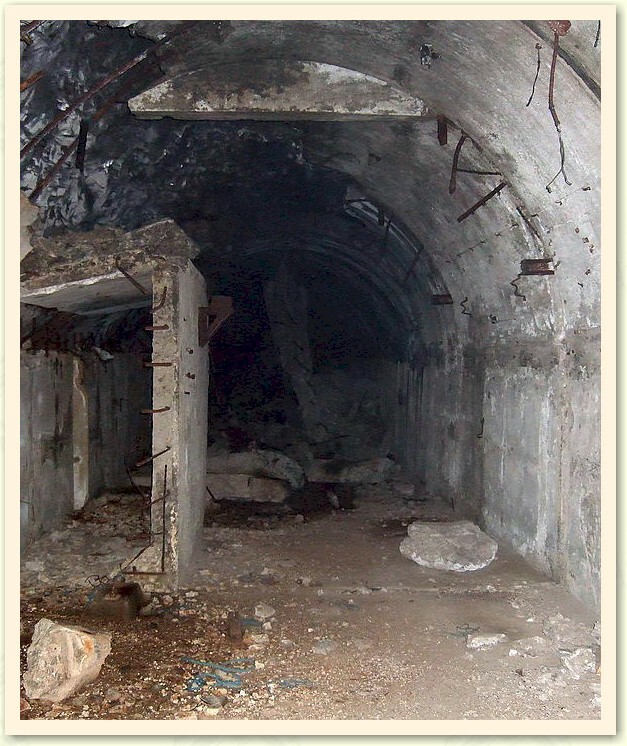 If there's anyone out there who has any better information which allows us to "rebuild" the map of the Navy Tunnels under Malinta Hill, we are very keen to hear from you.